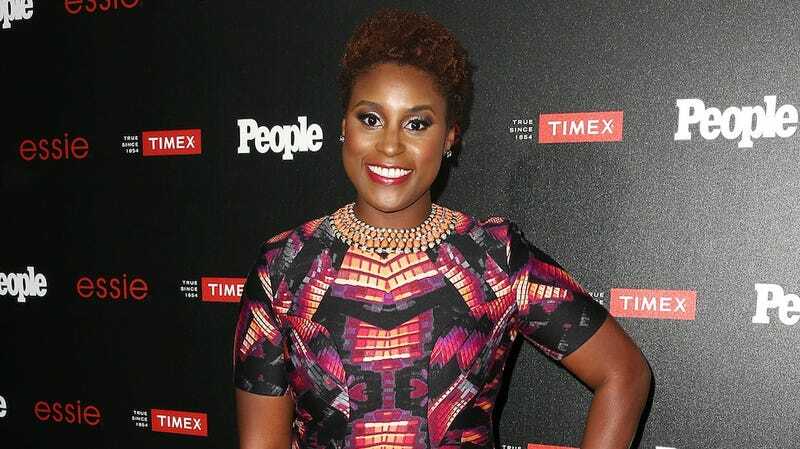 In the two years since Issa Rae landed a deal with HBO, her show, Insecure, had seemingly got stuck in pre-production purgatory. Good news, though: the cable network has ordered the half-hour comedy to series. According to the Hollywood Reporter, Insecure will focus on the friendship between two modern-day black women, played by Rae and Yvonne Orji, as they endure “uncomfortable experiences and racy tribulations.” Lisa Joyce and Jay Ellis round out the cast. The show is co-created and written by Rae and Larry Wilmore, and Prentice Penny will serve as showrunner. Rae won the HBO deal after success with her webseries, The Misadventures Of Awkward Black Girl. In August, Rae discussed the problems she faced while navigating through Hollywood’s bog of eternal whiteness. There is no official release date as of yet for the series, but hopefully it comes out sooner than later.